Mod Podge Puzzle Saver. Favourite puzzles can now be preserved forever with Mod Podge Puzzle Saver. Just brush it on. 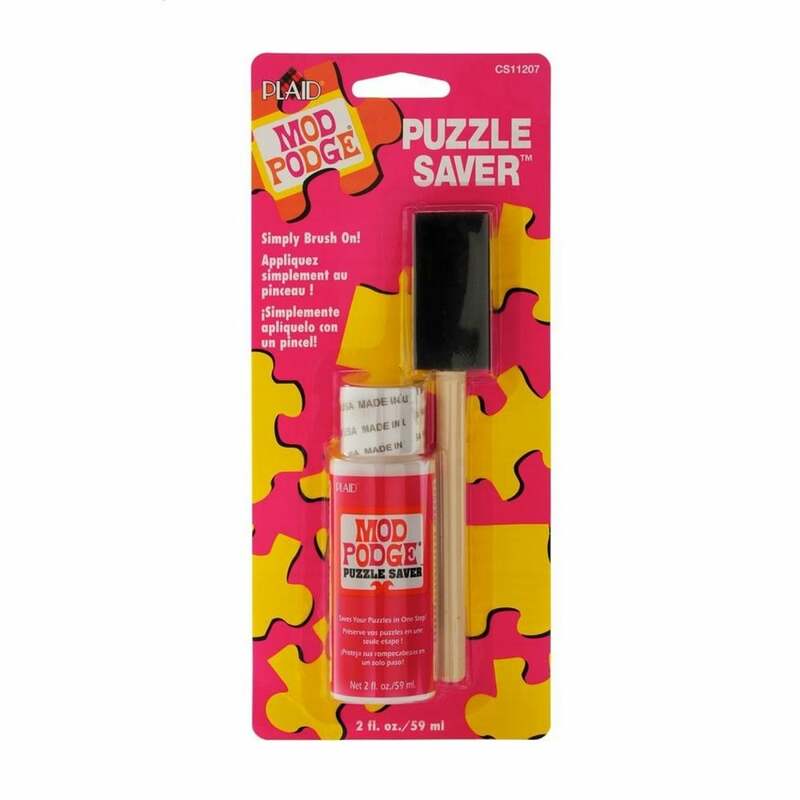 Puzzle Saver dries in 15 minutes; add more than 1 coat if desired! Can even be used for framed pictures. Contains 2oz/59ml Bottle and application foam brush. Showing 2 Plaid Mod Podge Puzzle Saver**^ reviews. Average rating of Excellent. Would you like to write a review? Arrived promptly, well packaged. Easy to apply to puzzle with sponge. Covered 1000 piece puzzle with plenty left. Jigsaw is in a very basic clip frame and is held together well. Great value. I love this product anyone who wants to save the puzzle I would definitely recommend it.